my friend just gave me a Jirachi for Draco plate. WOOT! 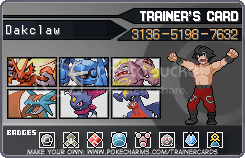 Currently i am trading in most Pokemon. Just give me a day to breed them! woho i just hit my 13th Pokérus!